There are approximately 2,000 Muslims in Slovakia, where Prime Minister Robert Fico has said “Islam has no place” in the country. With Wednesday’s legislation, passed easily by a two-thirds majority, Slovakia joined several other nations in attempting to impose limits on religious freedom. Neighboring Hungary, another reluctant European Union recipient of refugees from the Middle East and Africa, recently faced criticism from a prominent national Muslim group when a southern town banned mosque construction at the end of November. A little more than a year earlier, Hungarian Prime Minister Viktor Orban received backlash after writing in an op-ed in a German newspaper that Muslims must be kept out of the country as a way to “keep Europe Christian.” In a more direct plea shortly after the editorial was published, Orban said at a news conference that Hungary has “a right to decide that we do not want a large number of Muslim people in our country. Further east, the oppressed Muslim minority of Myanmar, known as the Rohingya, have dealt with not only a lack of official recognition of their religion, but, for the most part, a lack of citizenship as well. In June, a secretive Myanmar government letter surfaced, calling for a ban on the use of the group’s name, insisting that the Rohingya, whose million members live in the northern region of the Rakhine state, should be referred to as “people who believe in Islam.” Ethnic Rakhine residents of the province should be officially labeled “people who believe in Buddhism,” it added. Myanmar’s Buddhist nationalists prefer to categorize the group as “Bengalis,” or citizens from nearby Bangladesh, rather than to use the moniker describing them as a Burmese minority. Like that of Slovakia, the government of Angola also does not formally recognize the Muslim religion. 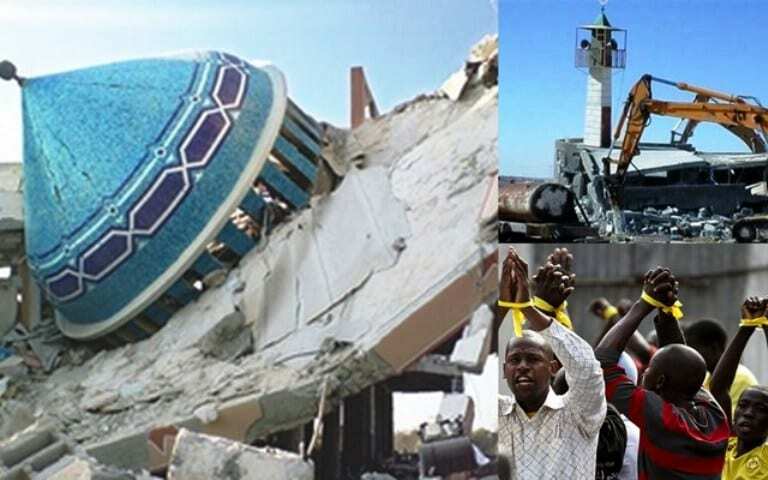 While the notion that the majority Catholic southeast African nation has imposed an outright ban on Islam has been debunked, the government closed and even demolished several mosques over the past couple of years that it claimed were built without permission. The religious wars have entered the next phase; we call this the maximum overdrive period (such stages usually have three phases; we are currently in phase1) and it is going to be the longest and most violent part of the war. We also referred to this as the “clash of civilisations” or the 2nd crusades. Now the world is going to watch in shock at how Europe leads the world in the War against Radical Islam. It is not going to be pleasant; once again if you live in Europe, consider moving to a quieter part of your country or start taking self-defense courses. The backlash against Islam is going to be incredibly harsh; the media will do it is best to make it look like all is well, but in reality is going to an all out war religious war. Over the next 12-24 months, we expect violence to soar at an exponential level.